At some point, when I was writing my new book, 'Selfies, why we love (and hate) them,' I walked around the Katrinebjerg halls at Aarhus University, Denmark, and asked people if they'd play a word association game with me. "White," I started off with, then another obvious one: "bread," another easy one to warm-up: "cat," then closer to what I actually wanted to know: "internet," and finally "selfie." I wish I could ask you to guess what people associated with selfie, because I was quite surprised. I didn't get a single "narcissist," "ugly," or "duckface." Interestingly I got multiple "selfie sticks." I got "fun," "good looking," some "smartphones," and a bunch of "photos." I was, because selfies pose a conundrum of sorts. On the one hand, we upload 350 million photos to Facebook; share 95 million photos on Instagram, and 3 billion snaps on Snapchat every day. Not all of those are selfies, but selfies have come to be seen as the bane and boon of internet-mediated visual practices. 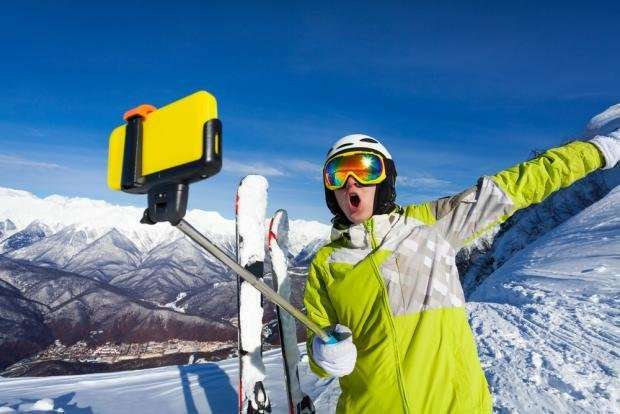 Selfies generate more attention than a lot of other social media content, studies measuring engagement have shown that posts containing images generate more attention (likes, comments) than text- or link-only posts, and that selfies generate more attention than other image posts. And as a sociologist and a social media researcher I was interested in the phenomenon, which is why I wrote the book. The popularity of selfies makes sense. We humans, have a long history of being drawn to images, of communicating visually, and being enchanted with (our own) faces. Pictographs and ideographs preceded written communication; we've been scratching marks into available surfaces for a very long time. On the other hand, selfies are persistently framed as unworthy of all of this attention. Critical and outright judgmental news articles, blog posts, and social media rants, keep popping up in our feeds. There are three common themes in selfie judgment: that they are (a) narcissistic, (b) inauthentic and (c) low quality. All three of these judgmental narratives use an anxious rhetoric that sociologists would call a moral panic (see here and here). Moral panics are basically popular explanations that spread at times of change and uncertainty, in particular when the order of things seems to be threatened, and the privileged groups start getting worried about the stability of their privilege. It might be about economic privilege, but often it is about symbolic or moral privilege to define what is right and wrong. In the case of selfies, it is about the right to be seen. Who has the right to choose to be seen and determine the terms of their visibility, and who does not? Historically, women, children, teenagers, LGBTQ people, and anyone who is not young, white, thin, and able bodied, have been invisible or visible following very narrow rules of either sexual objectification, or grotesque comedy. And now, all of a sudden, they have cameras in their pockets and are pointing them at themselves. This shakes the hierarchy of what a culture considers 'photographable' and threatens the beauty industry's consumerist reign over what is worth looking at (and thus their ability to get us to part with our money). So, moral panics function with moralizing, nostalgic stories we as people tell ourselves to define certain practices or people as a threat to societal values and interests. These reassert conventional morality by passing judgment. Selfie scholars often call this shaming, and shame is a very efficient way for regulating people's behavior. It makes us ashamed of ourselves, not just our actions, because we incorporate the judgment coming from outside – we internalize it. Sociologically speaking, selfie shaming is a cultural discourse that aims to control people, in particular women and minorities, to conform to the existing norms of their (in)visibility, and does so by shaming them until they internalize the norms that position selfie posting and selfie posters are narcissistic, vain, and fake. I'm not saying this to claim that all selfies are selfless, artistic, and wonderful. Rather, what is important to note here, is that selfies are not something that are good or bad as such. They are one of the many ways we have to express ourselves. When we talk about selfies, we mostly talk about selfies as objects. Popular writing and everyday conversations refer to 'creepy selfies', 'beautiful selfies', or 'dangerous selfies', indicating that they are things that have certain traits, which carry certain values. Most headlines carry strong opinions: One recently insisted that celebrities "absolutely hate selfies"," which seems a tad melodramatic, if you ask me. Like, do they hate all selfies? Even the really cute one I took with my kid on his first day of school? Why? Selfies are even framed as a medical object that can identify physical indicators of health or diagnose mental illness. There is now an app that promises to measure your bilirubin levels based on the color of the whites of your eyes, which should enable it to comment on the state of your liver. When objectified like this, the selfie becomes a carrier of multiple meanings, all collapsed into one entity. And while we might think we all mean the same thing, when we say 'selfies art' or 'selfie culture', or 'selfie craze', we probably do not. This is because the meanings people attribute to selfies stem from what people do with selfies, not what selfies are in themselves. In my other work, I use the phrase 'selfie practices' to talk about how we 'do' selfies. Practice is a shorthand term for encompassing the myriad of things people do, say, think, and feel, in order to create, share, attribute meanings to, understand, and interact around selfies. Selfie practices include posing, editing, saving, sending, deleting, hashtagging, commenting, captioning, liking, and reposting pictures. For internet- and social media researchers, selfies are a networked communication practice enacted by various groups on different platforms. This means that selfie sharing is similar to many other things we do on social media. Setting up a profile on Facebook, opening a Tinder account, even playing Pokémon Go. These are all about experiencing and expressing yourself; about building and maintaining relationships. So why did I write a book about selfies? Existing research, including my own, defines selfies not only as photos we take of ourselves with an extended hand, or in a mirroring surface, and share on social media, but as: expressive acts; photographic objects; cultural practices; gestures; means for communicating and understanding ourselves; tools for experiencing our bodies, or performing particular versions of ourselves; for gaining visibility; and much more. What selfies mean and allow us to do depends on the context surrounding them – whose selfies, what's on them, where they're shared. I've found that people who take selfies and those, who do not, tend to understand them quite differently. It makes sense that the social functions of what a selfie, or a stream of selfies do, and how that makes us feel, opens up with personal experience. But we are humans, and humans are smart. We're capable of learning from the experiences of others. This is why I wrote this book. 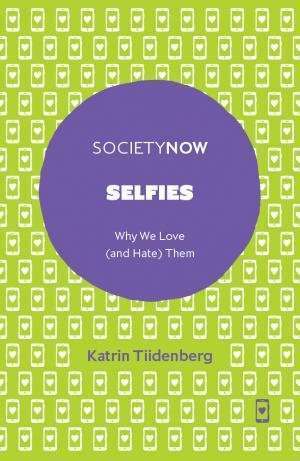 I hope it will help readers appreciate that selfies can mean different things to different people. You might not be a fan of selfies yourself, but they can offer a meaningful, perhaps unique, experience of being seen to someone else.